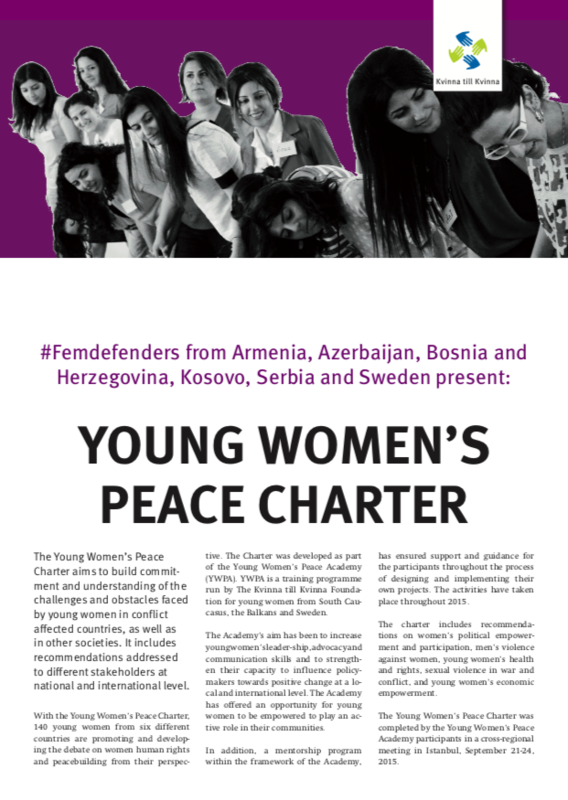 The Young Women’s Peace Academy is a training programme run by the Kvinna till Kvinna Foundation. In 2015, it brought together 140 participants from the Balkans, the South Caucasus and Sweden. These activists produced this peace charter, with recommendations for both the international community and national governments.